HIGH-TORQUE, LOW SPEED ROTARY ACTION. Designed on the concept of its big brother, the 2001 built to the demanding needs of todays composite panels in a small manageable 6" size. 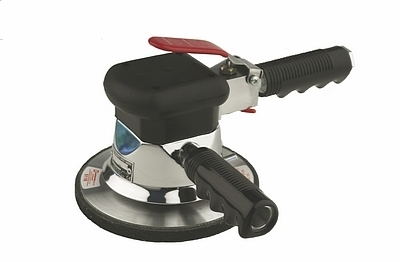 Accepts 6" Hook Type foam and wool compounding and polishing bonets.